The integration of PYROSPOT pyrometers from DIAS Infrared in local networks is now easily possible. The pyrometers can be directly connected to a LAN with the new Ethernet interface unit DCUIoP. Therefore, they are suitable for IP-based data transmission to terminal devices as well as for data exchange on a web-page basis. When several PYROSPOT pyrometers with RS-485 interface are connected to the Ethernet interface unit DCUIoP, it is now possible that several pyrometers operate via one port under one IP address. In addition, the interconnection of pyrometers is simplified by the built-in web server. The optional wireless connection (WLAN, in preparation: Bluetooth®) enables the uncomplicated commissioning, maintenance and local control via the web browser of smartphone or tablet. The transmission of measured values via IP/TCP can be done directly with the operating and visualization software PYROSOFT Spot for pyrometers. 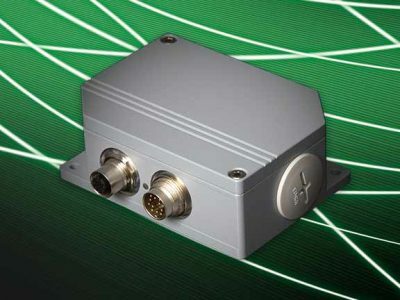 Up to 32 pyrometers can be connected to an Ethernet interface unit. Distances of up to 30 m between the connected pyrometers and the DCUIoP are possible. The power supply is possible via Power over Ethernet (PoE) or via a separate 24 V DC voltage. A detailed technical description is to be found on our PYROSPOT pyrometer sites of the respective PYROSPOT series 10, 11, 30/34, 44, 54 and 56. For further information about our Ethernet Interface-Unit DCUIoP please visit us at the Hannover-Messe (23.04.2018 to 28.04.2018), in hall 17 (booth number F63) or contact us directly, please.